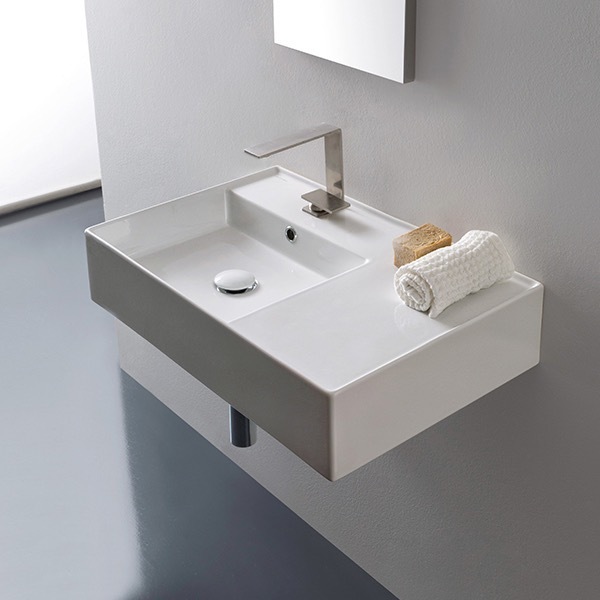 From the Italian designer Scarabeo, this white ceramic sink is part of the Teorema 2.0 collection. The sink comes in a no hole, one hole, or three hole option and equipped with plenty of counter space. 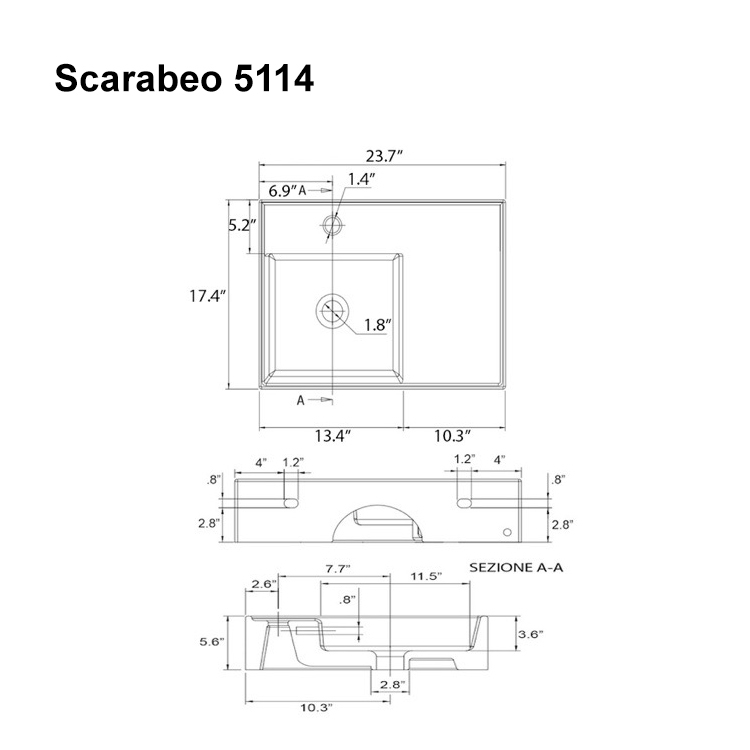 It is functional as a wall mounted or vessel application and is perfect for the modern bathroom design.